TALLAHASSEE AREA CHAPTER, #16, OF THE ACFE, INC.
Dear Friends and Members of Florida’s Capital Chapter of the ACFE: The Board cordially invites you to attend our next regularly scheduled meeting on Thursday, January 24, 2019. 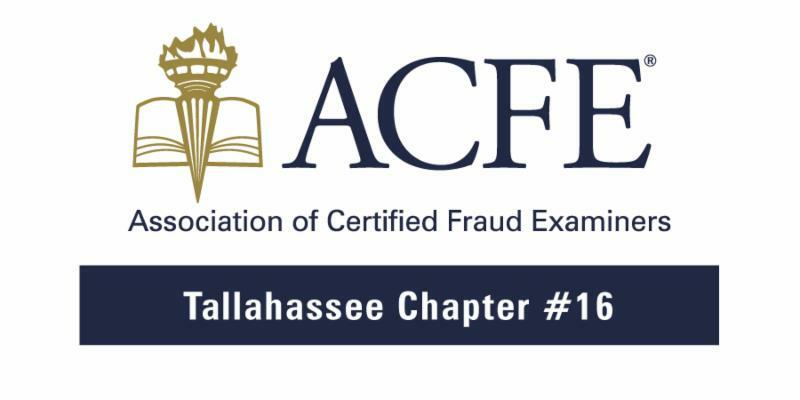 The guest speaker will be Captain Michael Smith, for the Florida Department of Financial Services, Division of Investigative & ForensicServices, Bureau of Insurance Fraud, who will present on "Fraud Crimes based on Real life Closed Cases". Captain Mike Smith has over 44 years of law enforcement experience. Prior to joining the Department of Financial Servicesin 2009, Mike worked for the FloridaDepartment of Law Enforcement where he worked a broad range of assignments,including the Governor's security detail, financial crimes, narcotics violations and public integrity investigations. Mike served as a Division Inspector and as a Senior Special Agent overseeing complex investigations in Florida's Panhandle for over 20 years. In 2009, Captain Smith joined the Department of Financial Services as a Major CaseSquad Detective and eventually became the lead Detective in Tallahassee. In December 2015, Mike was promoted to Lieutenant of Tallahassee's General Fraud Squad, and most recently was reassigned to overseethe Office of Fiscal Integrity in April of 2016. Captain Smith holds a bachelor's degree in Criminal Justice from Florida State University and grew up near Tallahassee. Kindly Register BEFORE 5 PM, Monday, January 21, 2019.